Oyster Mushroom Po Boys & White Chocolate Raspberry Sage Tart. Can I take a minute to talk about how much I love Alicia C. Simpson? Her books, Quick & Easy Vegan Comfort Food and Quick & Easy Vegan Celebrations are definitely both in my top 10 favorite cookbooks. Every recipe I’ve ever made of Alicia’s is always completely delicious and satisfying. She sort of inspired yesterday’s post about the weird lobster and yummy grits. My grits were actually an adaption of her grits recipe. There is a great recipe for lobster mushrooms and cheeze grits in Q&E Vegan Celebrations if you’re looking to recreate yesterday’s post; only better, because mushrooms are way better than that fake lobster. Anyhow, I’m really into Q&E Vegan Celebrations lately, mostly the Mardi Gras section. That chapter is chocked full of really irresistible southern recipes and I want them all in my mouth right now. 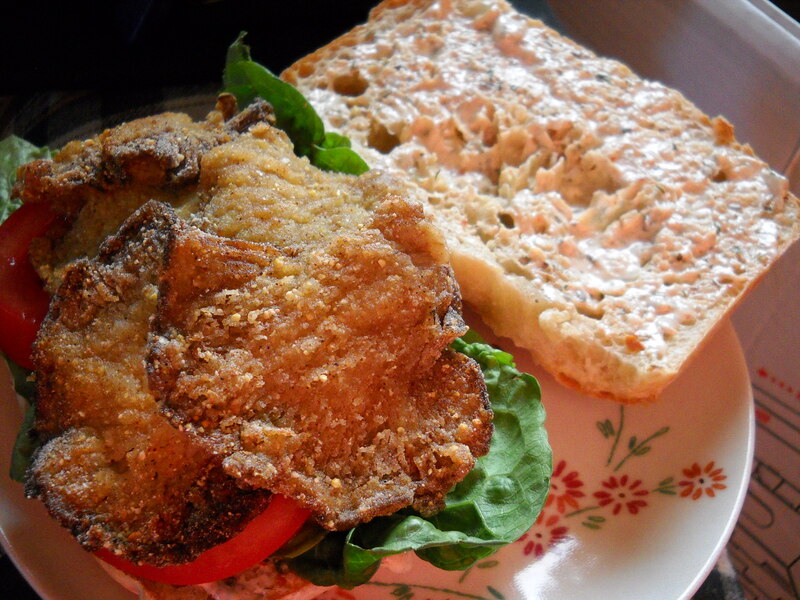 I decided to make the Fried “Oysters” and then make the “Oyster” Po Boy Sandwich, which both consist of deliciously crispy oyster mushrooms. The breading/dredging mixture is even gluten free! Rather than make the Ancho Tarter Sauce paired with the sandwich in the book, I stuck with the Cajun Spiced Horseradish dip/spread that is meant to accompany the fried oyster on their own. The fried oyster mushrooms were delicious on their own and were equally as good in a po boy sandwich. The cajun spices are so wonderfully aromatic that you get a lot of yummy spicy smells every time you go to take a bite. 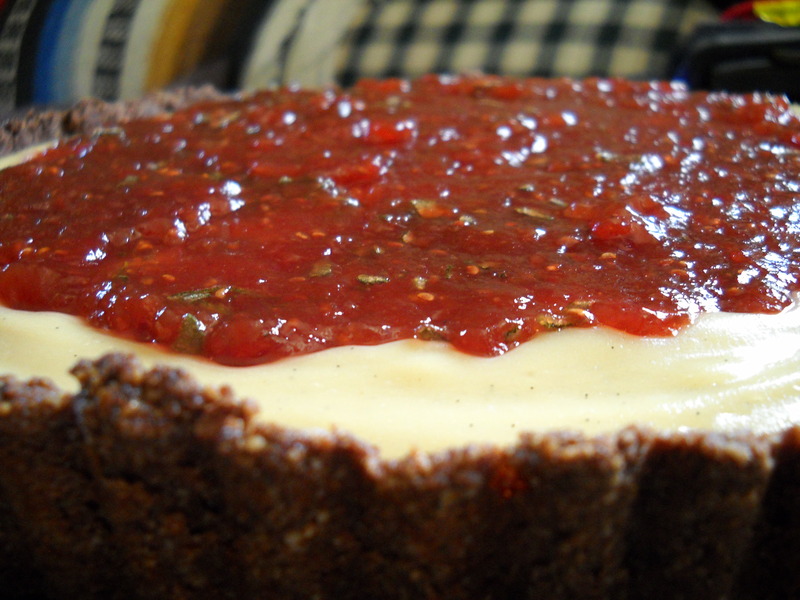 After having eaten this delicious sandwich, I thought it was about time to remake the White Chocolate Raspberry Sage Tart, from Manifest Vegan. I had made this tart for a picnic back in July, but unfortunately it was so hot the day I went to serve it that it melted in the sun. The crust became soggy, the filling was warm and all around I was very displeased with it, mostly because of the heat, not the actual recipe. 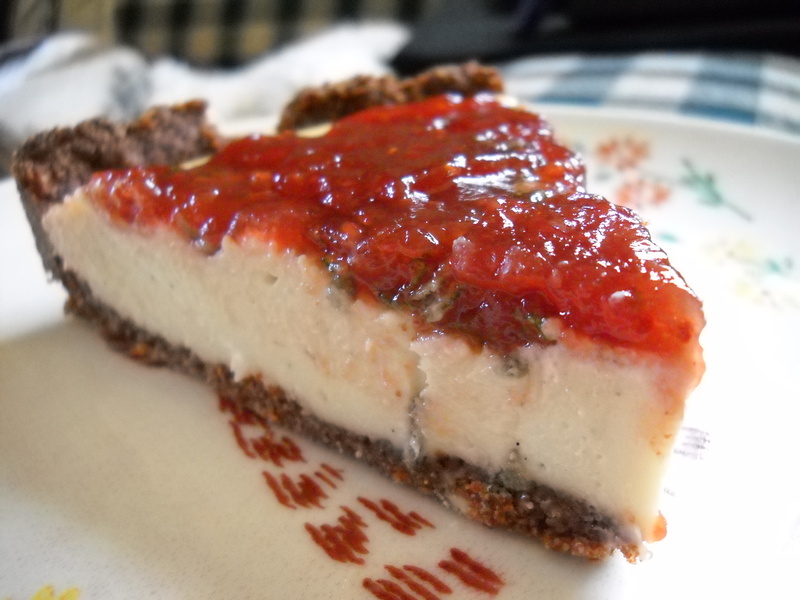 I also found that I made the raspberry topping much too tart and the sage also got lost. Some people who were at my picnic said they enjoyed the tart regardless of everything I thought was wrong with it, but I have been really wanting to make it again proper. ← “Lobster” & Cheddar Grits. As someone who loved the tart the first time, I can’t even imagine how good the 2nd attempt was! And as someone who lived in NOLA and celebrated many a Mardi Gras, I might need to get this book!